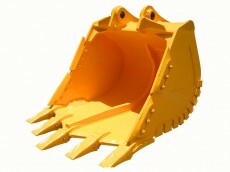 Designed for different excavation work considering the type of material used, material density, size of material, abrasiveness of material, the working environment, high impact, low impact application or profile of the bucket. 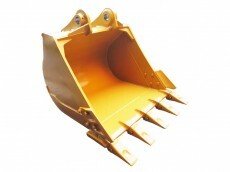 We manufacture a full range of buckets for different model of excavators up to 200 metric tons operating weight. 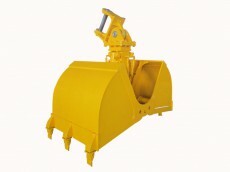 For example General Purpose Bucket, Mechanical and Hydraulic Clamshell Bucket, Skeleton Bucket, Rock Bucket, Heavy Duty Bucket, and Ripper Bucket. Our technical team which full with strong technical knowledge is able to design different buckets for various application. Our sekeleton products are the all-around choice for loading, carrying, dumping and performing general clean-up work.They are designed for digging, loading, carrying, leveling, grading and dumping in a variety of applications and materials. These all sekeleton & general buckets are ideal for construction, landscaping, industrial and more aggressive demolition applications. TSBC Engineering thumbs are as handy as a pocket on a shirt. 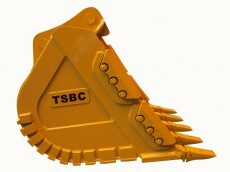 TSBC Engineering pioneered the use of thumbs on hydraulic excavators, and today, TSBC Engineering hydraulic thumbs offer more value than any other thumb on the market. Only TSBC Engineering hydraulic thumbs offer sealed and lubricated pins, cylinder rod guards, and a thumb lock to eliminate down drift. We are comfortably the largest attachment and swamp excavator manufacturer in the region. We pride ourselves in offering superior products to our customers, ensuring that a consistently high level of workmanship is achieved in every piece of attachment we produce. We believe our customers deserve unparalleled investment/performance ratio for choosing our products. Years of experience in serving the construction industry has allowed us to gain utmost trust from our customers, and we are often being approached to design and fabricate customized solutions for unique problems faced by our customers. We thoroughly enjoy every moment of these challenges. We regard every successful experience gained is a tremendous value addition to our product development team. All new products prior launching have to meet our internal DEP criteria. Designed for Functionality Engineered for Reliability Priced for high ROI (Return on Investment) for customers. Welding is done by robotic welding machine in our state-of-the-art facility. Product design are accomplished by utilizing latest CAD software, simulated via advance Finite Element Analysis (FEA) tools, ensuring optimum design integrity. EIK Engineering is committed to be the leader in innovation and quality manufacturing to meet your construction equipment attachment needs. Our goal has been and will be to further capitalize on our over 30 years of experience as a contractor in the construction industry prior to venturing into attachment design and manufacturing. We strive to be your supplier of choice with best in class quality, workmanship and outstanding customer service. We believe we are in the best position to produce functionally superior and practical attachments that customers desire, and at the best value. 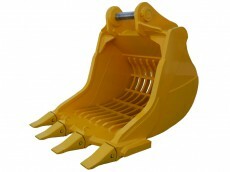 We manufacture a full range of buckets for different model of excavators up to 200 metric tons operating weight like General Purpose Bucket, Mechanical and Hydraulic Clam Shell Bucket, Skeleton Bucket, Rock Bucket, Heavy Duty Bucket, and Ripper Bucket.